The .jar reference was added successfully and I can use the library methods in my code. My project also compiles successfully and I am able to generate a .jar file of my own java library project. I have tried multiple solutions provided here and here but none of them works. I have tried to clean and re-build the project and .jar files as well but that doesn't help as well. I have added the .jar dependency as a module before referring it in my project but it still generates the same error. 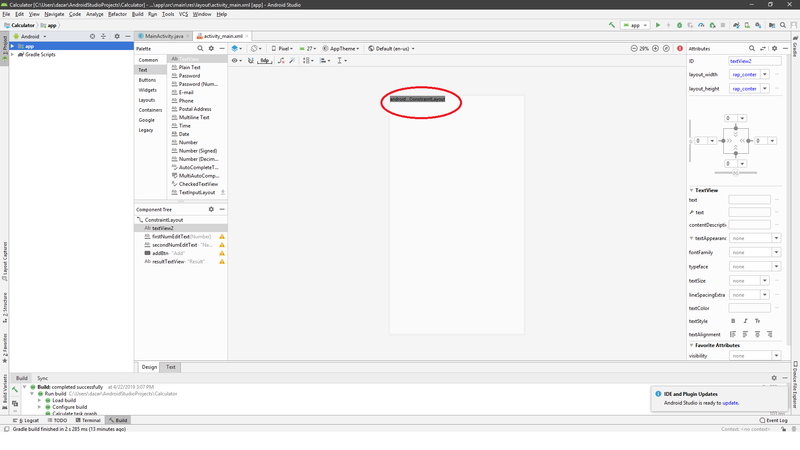 i'm migrating an old android project from Eclipse to Android Studio, after resolving java errors i'm facing this error that i couldn't find where is exactly located. Execution failed for task ':marghrebail_v3:mergeDebugResources'. error: too many padding sections on bottom border. This problem occurred when I checked out the project from git. I have android studio 3.3.1. The original branch of the project didn't have this problem. Here is the complete error that I'm getting. org.gradle.api.tasks.TaskExecutionException: Execution failed for task ':app:mergeDebugResources'.